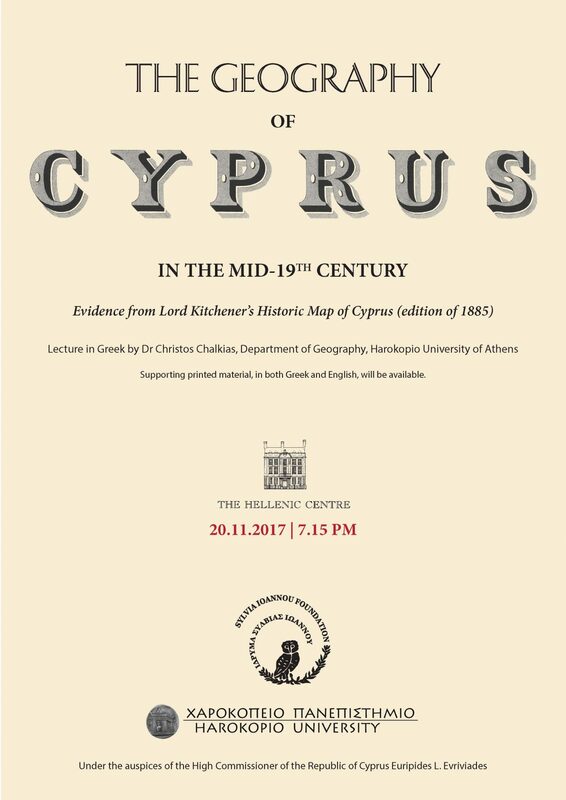 Booking required on 02075639835 or press@helleniccentre.org. Dr Christos Chalkias, Professor of Applied Geography in the Department of Geography, Harokopio University of Athens, will present the research collaboration between the Department and the Sylvia Ioannou Foundation, which produced a cartographic database and a web application presenting the vast range of geographical, historical and cultural information included in Lord Kitchener’s historical map of Cyprus. Supporting printed material, in both Greek and English will be available. Free entry; booking essential: 020 7563 9835 or press@helleniccentre.org.